Aboriginal people are the strongest of the strongest. We have survived genocide, cultural genocide, attempted assimilation… Guess what? We are still here. Alive and strong. Aboriginal youth care. More than you think. The ones who do care make serious efforts to change what is happening to their nation, but they know they face many challenges. They just need to know that they are not alone in this fight. You/Youth belong! 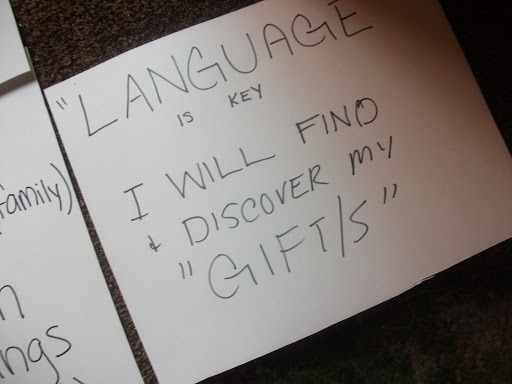 Aboriginal Youth want to learn their culture and their language. And those who don’t want to or don’t seem to care are the ones who need it the most. Those youth are willing to help make changes today and now to help future youth. Some Aboriginal youth don’t have the support in the family home to help bring positive change to their communities/nation. But they still need support. 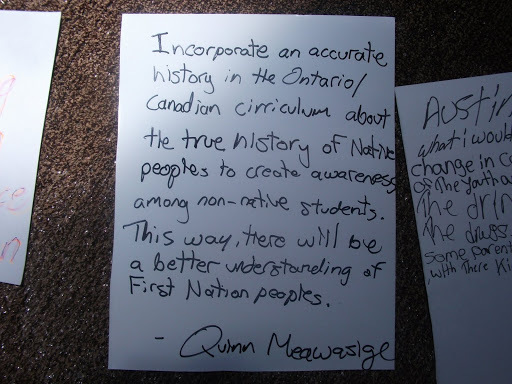 An Aboriginal youth said, “History books tell lies” in one workshop. But together, they all want that to change. 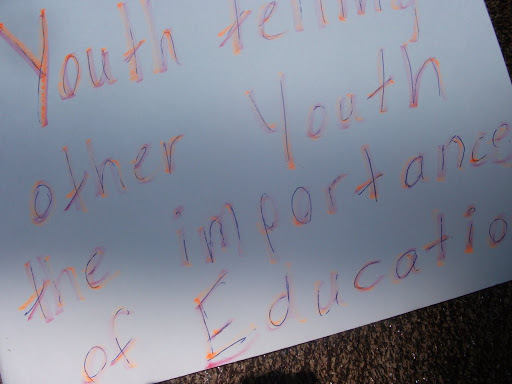 The above are just a few images of the words that the youth had written at the gathering I attended this week. Later, I will try to post more or at least them all. I decided to share these few words and things I learned at the conference because it is important to know that Aboriginal youth care. They care today. They cared yesterday. And they will continue to care. Who ever said Aboriginal youth didn’t care or that Aboriginal youth are apathetic, didn’t open their eyes, ears, or hearts.